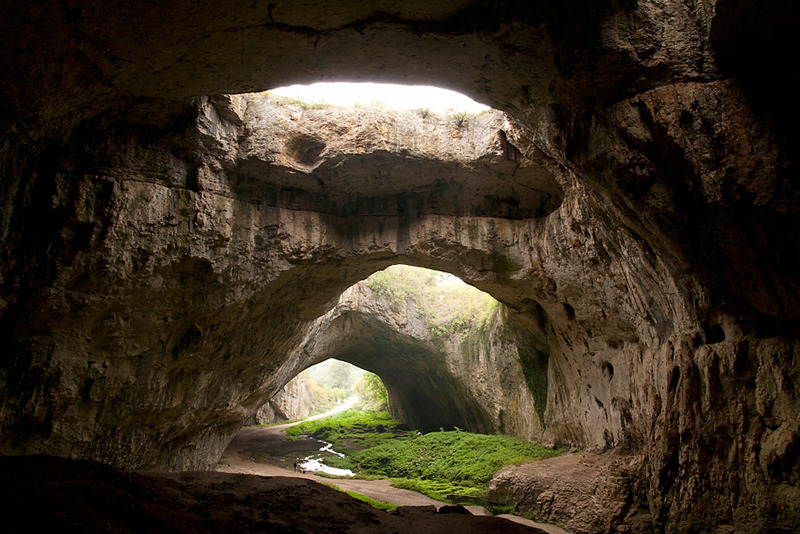 Devetashka cave is one of the biggest caves in Bulgaria but it is most famous for its amazing history. 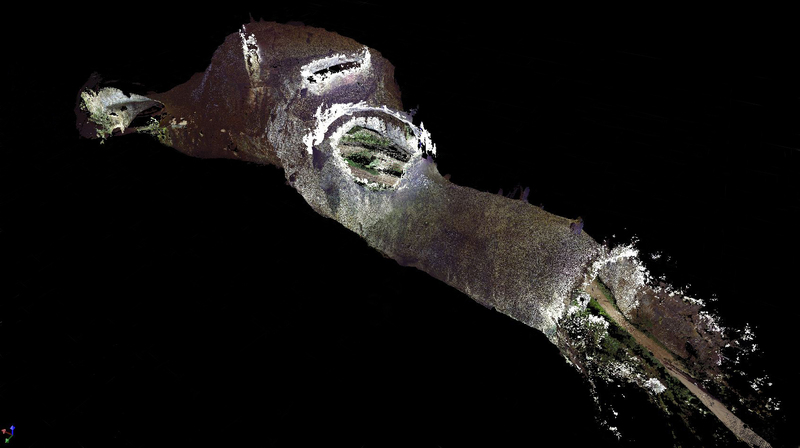 The entrance of the cave is 35 meters wide and 30 meters high. 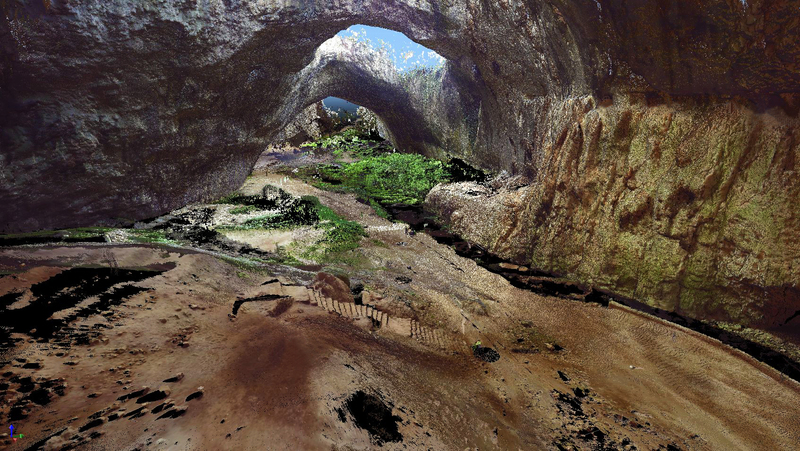 About 40 meters after the entrance, the cave widens, forming a spacious hall with an area of 2,400 square meters. The height of the hall is 60 meters; at some places it reaches 100 meters. About 200 meters of the entrance, the two fields separate from the hall. The left one is more than 2 kilometers long, a small river runs along it, which passes through the main hall and flows into the Osam river. The right field is warm and dry. 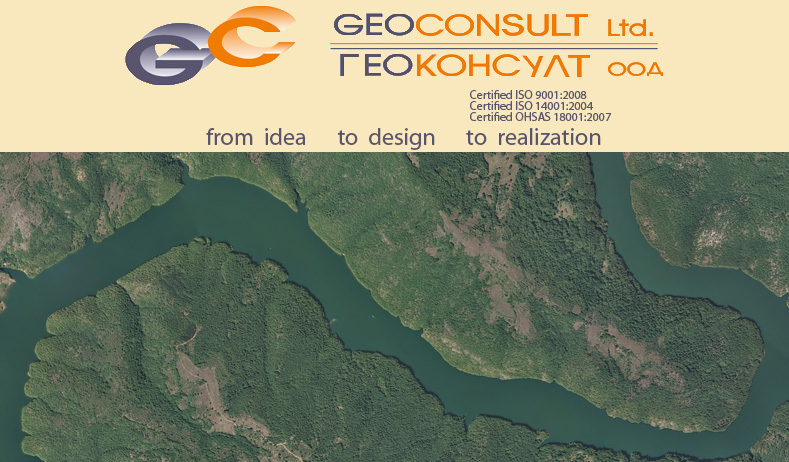 Its entrance is 2.5 meters high and 5.7 meters wide. The field widens after the entrance and forms a rectangular hall – 50 meters long and 10-15 meters wide. This field ends with a small gallery with a round room, also known as the Altar. 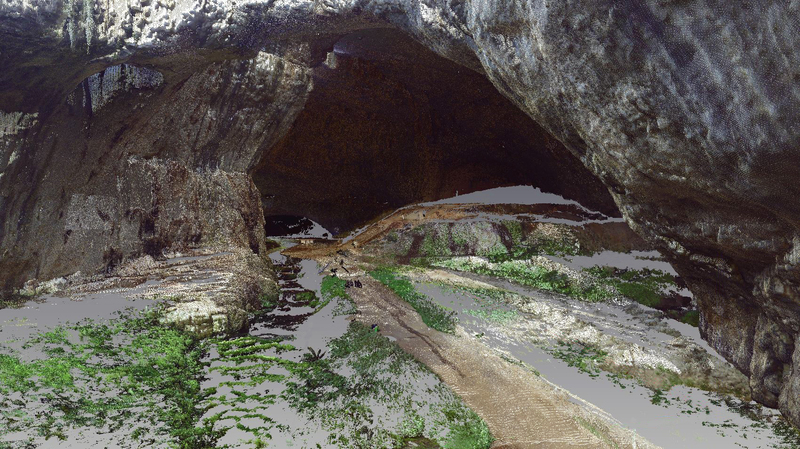 The cave was scanned with FARO Focus 3D laser scanner and for further processing was used Scene software.